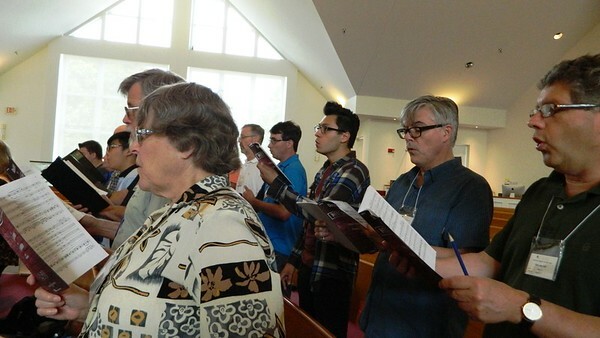 BERLIN - Voices from across New England joined together over the weekend at Bethany Covenant Church, kicking off a week-long experience that happens once a year. 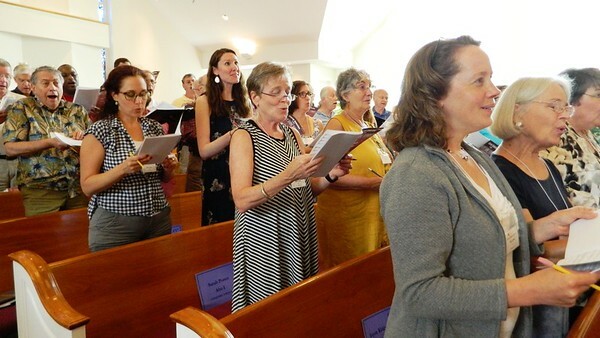 The Connecticut Choral Artists’ 2018 Summer Festival unites 20 professional singers with 60 amateur or “avocational” singers, hand-picked to take part in the annual event. 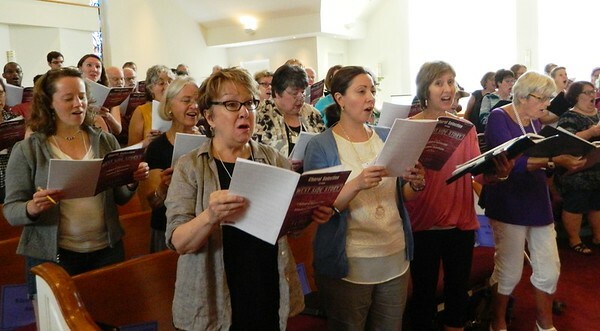 The first of five rehearsals took place Sunday in the church, where the program will culminate with a concert at 4 p.m. Saturday, Aug. 4. 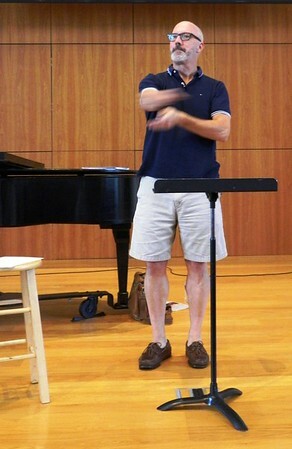 Artistic Director Chris Shepard is serving as maestro, guiding singers in separate sections as they work through the festival program all this week. This is the festival’s 20th year. 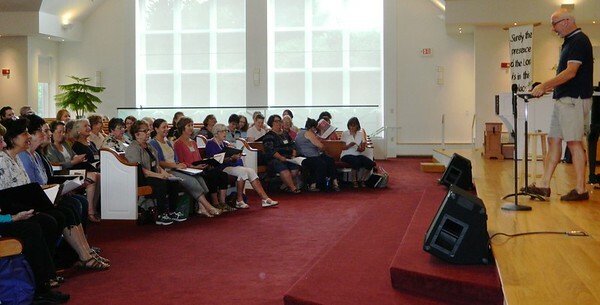 Many participants have taken part during multiple summers. CONCORA’s section leaders sit among the singers, providing guidance during rehearsals. “For me it’s like having a bunch of assistant conductors,” Shepard said. After Sunday’s practice, the entire group sat down for a communal dinner together. CONCORA was founded at South Congregational Church in New Britain, still its home base 44 years later. The professional chorus often performs with the Hartford Symphony Orchestra and Orchestra New England. It also served as the resident chorus of the acclaimed Bard Festival, alongside the American Symphony Orchestra. CONCORA member Edward Tyler is a music teacher at Manchester High School. He welcomed several of his own students to the festival, among 10 high school and college scholars in the group. 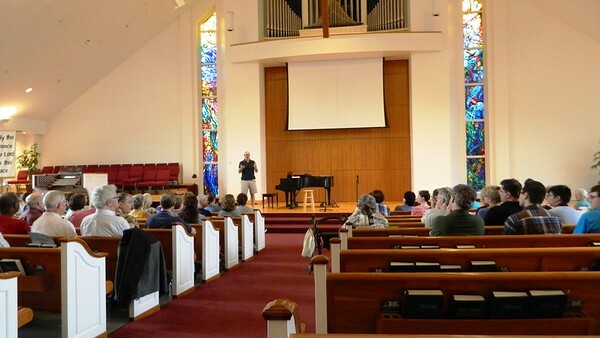 Festival participants are selected through an application process, with most accepted by recommendations from community and church choruses. Church member Ann Quinn said this is her 10th time taking part. “My first festival was in 2001 and we sang Brahms,” she remembered. Burlington resident Ellen Lyman came with her parents Andy and Susan Nagle, who live in Vermont. The family has been singing with CONCORA at least three summers. “It’s wonderful,” Andy Nagle added. Some singers come from as far away as Pennsylvania, Florida and Texas. The 15-hour rehearsal schedule continues Monday, Wednesday and Friday evenings, with the final rehearsal Saturday morning. The concert is open to the public and tickets can be purchased at CONCORA.org. Posted in The Bristol Press, Arts, General News on Monday, 30 July 2018 21:04. Updated: Monday, 30 July 2018 21:06.